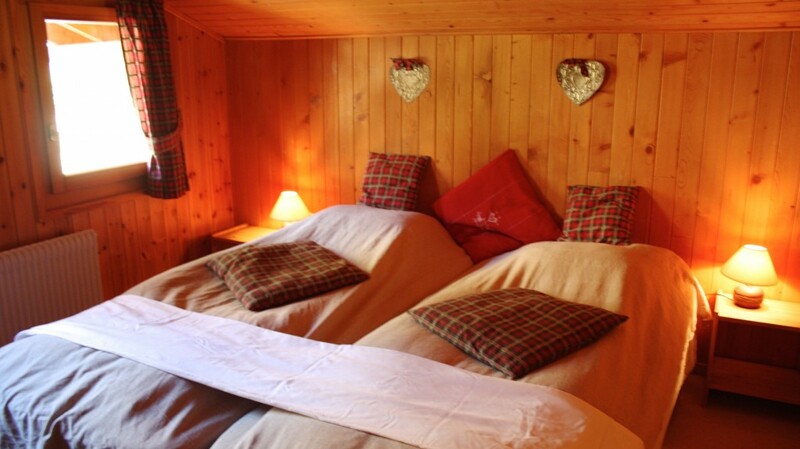 A cosy twin bed room on the 2nd floor with en suite shower and private toilet. 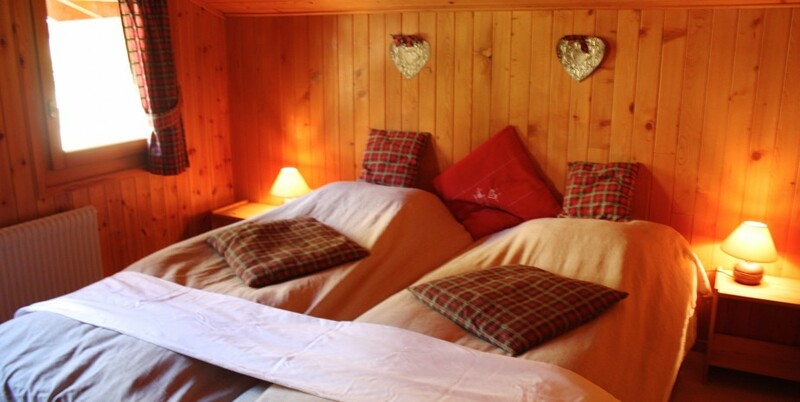 Decorated in green & burgundy colours, traditional Alpine style, carpet, wooden walls, and slanted roof on one side. north facing.